For cleaner, more uniform looks, you can always choose to paint over brick walls. The joints are still visible but the overall look is a lot neater. Instead of the typical white-colored French doors and windows, why not go for black frames? 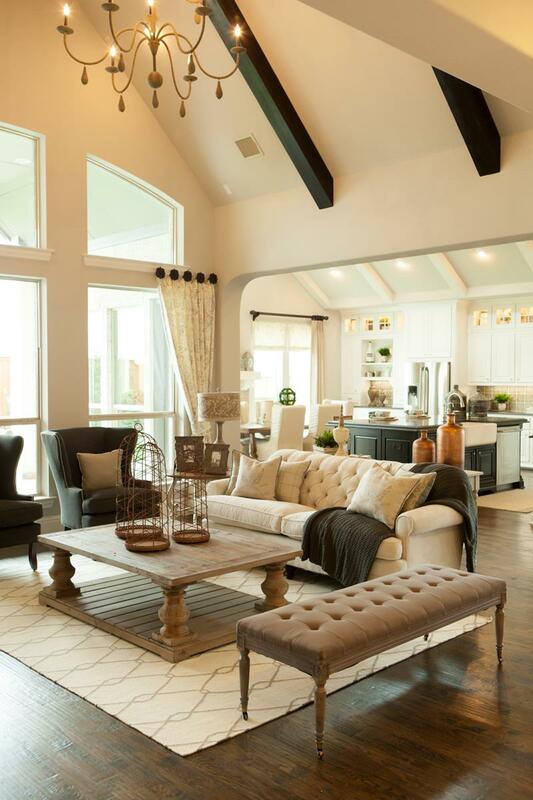 High cathedral ceilings are good for living rooms that need more light and air such as this one. 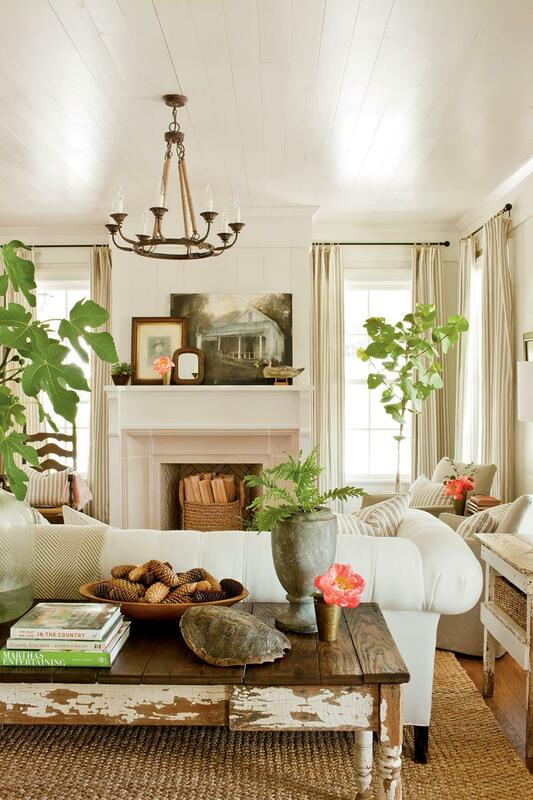 Ornamental vegetation and floral arrangements are good for bring in a little freshness into the living room. 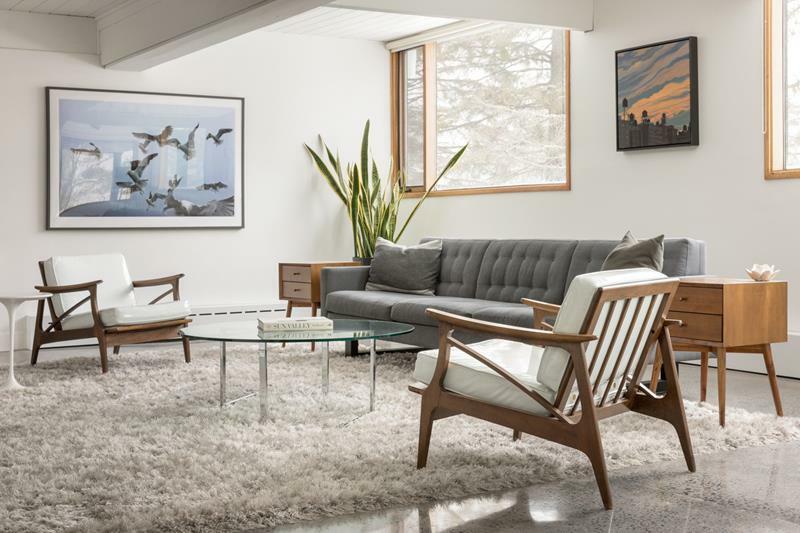 Modernist furniture and clean-cut aesthetics are recommended for a stylish and contemporary living room look.